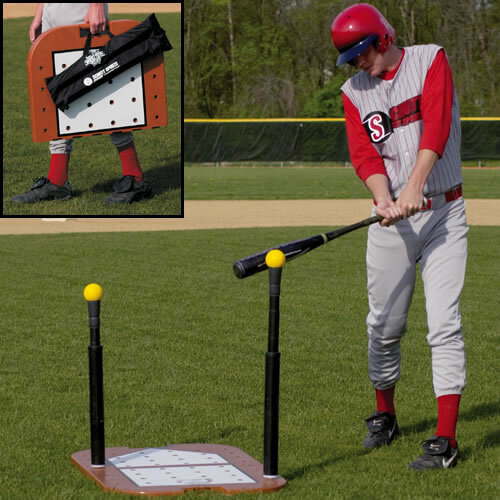 This multi-use tee is perfect for 'zone' hitting and ideal for isolating and correcting hitting problems. Features unique 48 hole configuration for unlimited pitch simulation, double-stems for multiple drill capability, and easy-fold design for easy transport. Tees extend to 35". Includes drill and exercise sheet.